Thanks to David Van Sant, I not only received significant compensation for my injury, but he also taught me about the law and guided me through each step of my case. Working with him changed my misconception about stereotypes towards lawyers. DePuy Orthopaedics, one of the largest medical device manufacturers in the U.S., is currently facing personal injury lawsuits after patients had received the company’s ASR and Pinnacle hip replacement devices and allegedly suffered complications. A subsidiary of Johnson & Johnson, DePuy Orthopaedics introduced its Pinnacle total hip replacement system in 2000 and its ASR metal-on-metal hip implant in 2004. 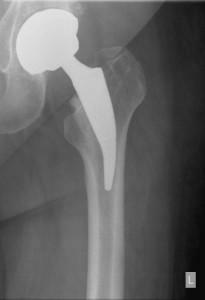 However, DePuy voluntarily recalled its ASR hip implant in 2010 after the company was informed that the device was failing earlier than anticipated. Prior to the recall, it is estimated that more than 93,000 of the company’s all-metal hip devices were implanted in patients across the globe. While many patients had reported little or no complications, others have allegedly suffered from severe complications that have required additional surgeries to remove or replace the devices. The U.S. Food and Drug Administration received 12 reports in 2006 from patients implanted with the DePuy ASR implant, and the first complaint of ASR complications included the alleged failure of the device during a surgical procedure in which a surgeon was checking the product. To date, more than 12,000 ASR lawsuits have been filed against the medical device manufacturer regarding the ASR hip replacement device, and DePuy reportedly agreed to a $2.5 billion settlement to help resolve the thousands of ASR lawsuits that are currently progressing against the company. The alleged complications involving the DePuy Pinnacle and the DePuy ASR hip replacement devices include dislocation, bone fractures, reduced mobility, instability, inflammation, loosening of the device, infection, and early device failure. Additionally, several plaintiffs have allegedly suffered from metallosis, or metal poisoning, as a result of the friction of the metal components causing chromium and cobalt ions to settle in the patient’s blood stream. According to those pursuing claims for compensation, DePuy had known, or should have known, about the adverse effects and complications that could occur in ASR recipients. The manufacturer is also accused of failing to warn the public of these risks in an attempt to protect its financial interests. In March 2013, the first DePuy ASR lawsuit was settled, and a Los Angeles jury awarded the plaintiff with damages totaling $8.3 million. The personal injury attorneys at Van Sant Law, are helping potential plaintiffs who were fitted with these allegedly defective devices to file lawsuits and recover the damages to which they may be entitled for their injuries. If you were fitted with the ASR or Pinnacle hip implants prior to 2003, you may not have a claim on the grounds of the ASR recall. If, however, you believe that you do have a case, please contact Van Sant Law, today to learn more about your options. Claims are being pursued on behalf of ASR and Pinnacle patients throughout the U.S. against DePuy Orthopaedics, accusing the manufacturer of producing a defective and dangerous product. If you would like to learn more about your options following the 2010 recall, call Van Sant Law, today at (404) 991-5950. You may have already been offered a settlement from an insurance provider, but you may consider consulting with a personal injury attorney before you sign any paperwork. If you agree to a payout amount, your case will be settled, and you will forfeit your legal right to seek compensation down the road should any additional injuries or complications develop.